Everyone’s tax returns are open for inspection in Norway . This means you can see the income and financial history of colleagues, lovers, frenemies, enemies, and in-laws. But there’s a catch: Everyone can also see exactly who’s looked at their tax returns. It’s a classic example of decision theory, the mathematics field that looks at the most rational decisions for individuals, when weighing risk and benefit. David Just, a behavioral economist at Cornell University, explains that it’s possible to write the decision to look at another person’s tax returns as an equation. That equation would demonstrate estimated risk, and the probability of that risk occurring (largely dependent on how close you are to the person whose finances you’re eyeing). It’s the second set of information—the knowledge that your peeking will be seen—that makes the decision especially interesting. “I can see that playing a big role in keeping this from being a situation where everybody checks up on how what everybody else is making,” Just says. Indeed Ricardo Perez-Truglia, assistant professor of economics at UCLA, has researched how Norway’s open tax return policy affects behavior. It used to be possible to browse anonymously, he says, but this changed in 2014. Perez-Truglia agrees that the closer two people are, the higher both the potential cost and benefit of looking at the other’s tax return. You won’t care much about the income of someone you don’t know, for example, but you might well care about your arch-enemy at work. Of course, there’s very little risk when it comes to checking out the tax return’s of high-profile figures, including politicians, as your name will be lost among the thousands. Indeed, newspapers publish lists of the income and taxes paid by politicians, which would likely come as a shock to Donald Trump, who is refusing to release his tax returns. The social cost of looking at another person’s tax return is also likely to be impacted by the culture of how many choose to look. Perez-Truglia reasons that if looking at tax returns becomes increasingly common, more people are likely to jump on the band wagon. “If I see a bunch of people are doing the searches then I think ‘Oh well, if they’re searching, it must be because the social norm is different online,’ ” he says. 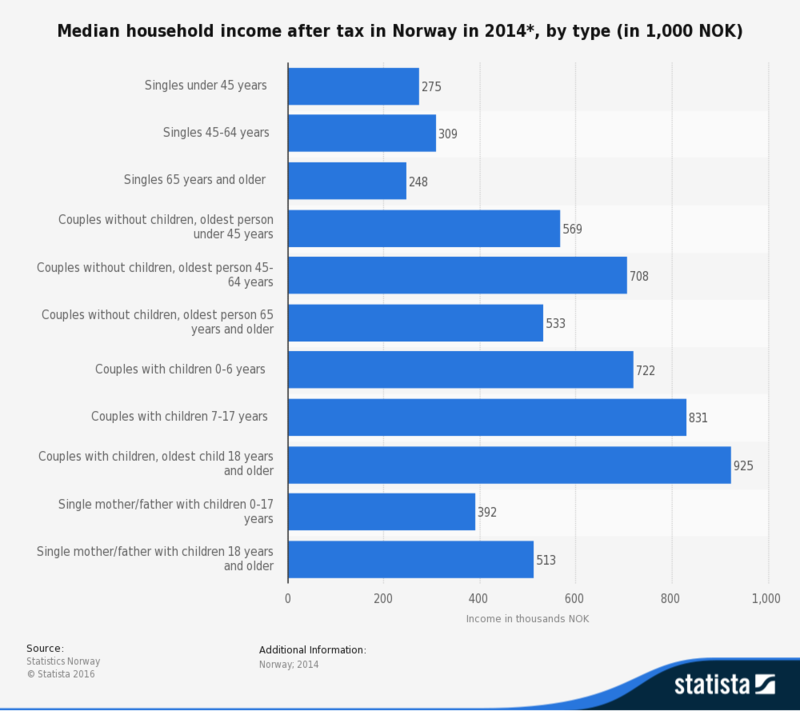 Perez-Truglia has found that Norway’s decision to make tax returns transparent has had a vast impact, leading to a significant increase in the gap in well-being between the richest and the poorest Norwegians. People are now acutely aware of their income relative to others, and know that everybody else knows their own status. This seems to make the wealthy happier, and the poor less happy. He’s also begun researching whether having public tax returns changes spending habits. “One reason why people buy really expensive boots and clothing and things like that is because they want to show off, they want to signal that they’re rich. But in Norway, when the public knows who’s rich and who’s not, what’s the point of buying these types of goods?” he asks. Perez-Truglia says he hasn’t yet evaluated the data that tests this theory. But, regardless of whether his hypothesis holds true, Norway’s public tax returns certainly shatter a taboo. So, would you look?